Flagstaff, AZ mostly offers hotels, motels, cabins, vacation homes and AirBnBs as accommodation options. If you're looking to stay at a luxury resort an spa, you'd have to go to Sedona - just 25 miles south of downtown Flagstaff. This high-altitude mountain town attractions visitors who enjoy being outside because the weather is fantastic and the air is fresh. Therefor, where you sleep while visiting Flagstaff is more of a decision based on preferences and convenience rather than hotel notability. Having said that, we've listed the top five places to stay in Flagstaff - one recommendation per each of the five most commonly sought after types of accommodation. LITTLE AMERICA | This hotel is truly one of the best Flagstaff hotels and a local favorite. Set in 500 acres of Ponderosa Pine forest, Little America Flagstaff combines hospitality, natural beauty and comfort with the adventurous spirit of the Grand Canyon area. Other amenities include the Silver Pine restaurant, meeting rooms, special event venues and is home to the popular North Pole Experience during the winter season. ARIZONA MOUNTAIN INN & CABINS | Located in a quiet rural area just one mile from town, our newly-updated inn and 17 fully furnished cabins are tucked away on 13 secluded acres of ponderosa pines. The grounds are bordered on three sides by the Coconino National Forest, with breathtaking views of the San Francisco peaks. With options ranging from comfortable B&B suites and cozy A-frames made for two, to spacious private accommodations perfect for groups or large families, AZ Mountain Inn offers the most diverse selection of vacation rentals in one location in the Flagstaff area. They also offer the perfect venue for your wedding and/or your wedding guest accommodations. Whether your desire is to get away and enjoy a romantic weekend, a family reunion, a group function or vacation with your pet…the Arizona Mountain Inn & Cabins is the perfect place to stay for a comfortable, Flagstaff woods experience. GREENTREE INN | Located just minutes away from Northern Arizona University, and less than three miles from Downtown Flagstaff, GreenTree Inn offers guests a comfortable stay in a convenient location. There are 90 rooms available, each equipped with a microwave, refrigerator, coffeemaker, high-speed Wi-Fi, telephone with local phone calls included, and air conditioning. In addition, you can expect a hot breakfast buffet, computer and printer access, large vehicle parking, designated pet-friendly rooms and more. GreenTree Inn is truly the best bang for you buck. DOWNTOWN CASA BONITA | This is located in Downtown Flagstaff and is walking distance to all of the best restaurants, bars and downtown activities. The house's kitchen is fitted with an oven and a microwave, as well as a coffee machine. A flat-screen TV is available. Other facilities at Downtown Casa Bonita include a barbecue patio and private parking. Holiday Inn Express, Flagstaff AZ Hotel is conveniently located near the Grand Canyon at the intersection of I-40 and Butler Avenue in Flagstaff. The Holiday Inn Express Flagstaff hotel is the perfect choice for your trip to Flagstaff. 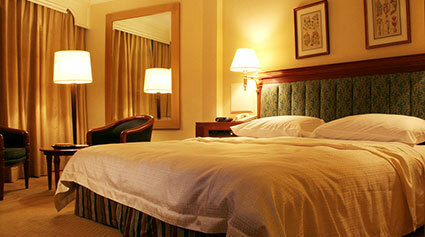 Our experienced staff, comfortable guestrooms and superior amenities will make your trip a success. The Creekside Inn, furnished in authentic Victorian antiques, is nestled on three acres of wooded property on Oak Creek, yet walking distance to Sedona's Art District. Each room of this Sedona, Arizona bed & breakfast has a jetted tub, private patio, private entrance and a private dining table in our breakfast room that overlooks the creek. Creekside Inn is also a lovely setting to have a "Creekside" wedding. 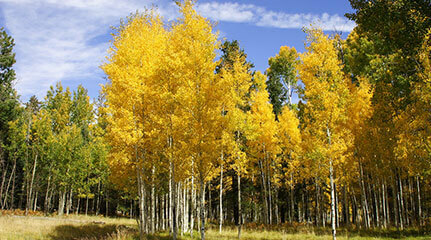 Situated in the tall pine country of Northern Arizona is just 30 min. south of Flagstaff. The quaint Western ambiance of this remote 280-acre Flagstaff cabins retreat is the perfect backdrop for groups and families. In the heart of uptown Sedona, unsurpassed red rock views and modern comfort await at the Orchards Inn. Tucked into the hillside, all guests enjoy breathtaking views of Oak Creek Canyon, private balconies or patios and modern amenities. Steps away, the area's best dining, shopping and entertainment options abound. From hiking and guided tours, to hot air ballooning and golf, numerous activities and offerings are nearby and easily accessible. The Orchards Inn offers a rare combination of superb location, stunning views and undeniable value, designed for a unique and memorable Sedona experience. Located just minutes away from Northern Arizona University, and only three miles from Downtown Flagstaff, recently renovated GreenTree Inn offers guests a comfortable stay in a convenient location. There are 90 rooms available, each equipped with a microwave, refrigerator, coffeemaker, high-speed Wi-Fi, telephone with local phone calls included, and air conditioning. In addition, you can expect a hot breakfast buffet, computer and printer access, large vehicle parking, designated pet-friendly rooms and more. Country Home Near Pines of Flagstaff is a vacation home located in Flagstaff in the region of Arizona and featuring a garden with a barbecue. The property is 26 miles from Sedona and features views of the garden. Free private parking is available on site. The Bonito Campground is located in the Coconino National Forest in Flagstaff, Arizona and is a beautiful oasis of ponderosa pine trees, hills, peaks and paths for exploring. Secluded and quiet, this park draws thousands each year, and is especially popular for its proximity to sites like the Sunset Crater and the Wupatki Ruins. Many campers also take day trips to geological wonders like the Grand Canyon, Meteor Crater and the Petrified National Forest. The Flagstaff City is just 10 miles away, so visitors can also expect excellent shopping, dining, theaters, galleries and museums while camping. Amenities at the Bonito Campground include: tent camping, restrooms, big rig access and pull thrus. This little Flagstaff cottage is just minutes walking distance to all the best restaurants, pubs and activities of downtown Flagstaff. Perfect location for skiing or snowboarding at Arizona Snowbowl as well as for summer festivals, art shows, and whatever is going on at The Square in downtown Flagstaff. Enjoy your own little private patio to soak up that perfect amount summer sun. 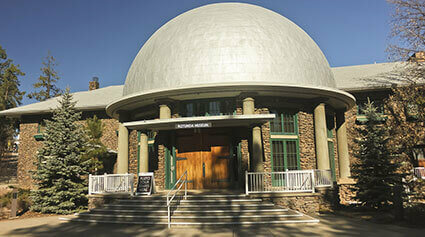 Located in Downtown Flagstaff, and is walking distance to all of the best restaurants, bars and downtown activities. It provides free private parking. The kitchen is fitted with an oven and a microwave, as well as a coffee machine. A flat-screen TV is available. Other facilities at Downtown Casa Bonita include a barbecue. There are lots of activities in the area, such as fishing and hiking. Flagstaff Pulliam Airport is 4.3 miles from the property. Black Bart's RV Park is located in the beautiful town of Flagstaff, Arizona and is perfect for vacationers looking for a quiet, peaceful getaway. Nestled in tall, thriving Ponderosa pine trees this beautiful park is near to the city of Flagstaff and Sedona. 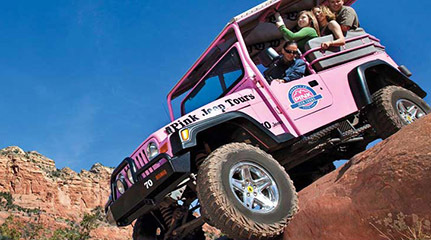 Between these two cities, campers can tour the historical sites, Red Rocks, go shopping, enjoy theater productions, museums and art galleries. Campers can look forward to winter sports like skiing and snow shoeing at the Arizona Snowbowl. Outdoor lovers can also look forward to hiking, biking and horseback riding the various trails, or just enjoying one of those iconic Arizona sunsets. Near the campground are a number of excellent restaurants RV washes and supply stores and grocery stores for visitors' convenience. Amenities include: water, sewerage, tent camping, showers, restrooms, big rig access, pull thrus, 30/50 amp sites and WIFI. Nestled in cool Ponderosa Pine just 3 miles south of Flagstaff is the Fort Tuthill County Park, a gorgeous southwestern retreat that draws thousands of visitors yearly. Outdoor enthusiasts can look forward to archery, equestrian events, trails and outdoor educational programs. Campers can not only hike and horseback ride the trails, but also ride mountain bikes through the forest to truly soak in the scenic forest. Winter sports like snow shoeing, skiing and sledding are also very popular at this campground. There's several excellent clubs available for campers to enjoy like the archery club, snow park, gems and minerals club and there's also museums, ranges and ball courts for visitors to take advantage of. Amenities ta the park include: picnic tables and grills, minimal hookups, trails and information centers. The Butterfly Garden Inn, formerly Don Hoel's cabins, is the perfect destination for individuals, families, and retreat groups who want to relax, unwind, and find refuge from the stress of everyday life. Situated 10 miles north of Sedona in the heart of the Oak Creek Canyon, our tranquil inn has 20 charming cabins ranging from one to three bedrooms with full kitchens, each offering a delicious continental-style breakfast delivered to the cabin each morning. Located in Flagstaff, this vacation home and is 22 miles from Sedona. It provides free private parking. The kitchen is equipped with a dishwasher. A flat-screen TV and Blu-ray player are available. Other facilities at The Holland Home include a barbecue. The area is popular for fishing and hiking. The nearest airport is Flagstaff Pulliam Airport, 1.9 miles from The Holland Home. The Flagstaff KOA is located in the beautiful city of Flagstaff, and is just an hour from the beautiful Red Rocks of Sedona and Oak Creek Canyon, an hour and a half from the South Rim of the Grand Canyon. It's also just a day trip from the Petrified Forest and Painted Desert, two hours from Lake Powell and 30 minutes from Meteor Crater, Walnut Canyon and Native American Ruins. For campers who are new to the area, there's excellent concierge at the campus, so many visitors utilize this service for guides to the area. Onsite, there's also group and community events put on by the campground, so guests don't have to go offsite for fun and relaxation. Amenities at the park include: big rig access, deluxe cabins, RV patio sites, WIFI, cable TV, laundry facilities, on site grocery stores, showers, restrooms, 50 amp sites and banana bike rentals. The Grand Canyon International Hostel is centrally located in historic downtown Flagstaff, just one block from the Amtrak Station and less than a mile from the Greyhound Station. It served as a bunkhouse for travelers in its early years, before hostels were around.Today, it is still hosting Northern Arizona travelers. It provides a charming, cozy and relaxing atmosphere for all hostel guests to enjoy. 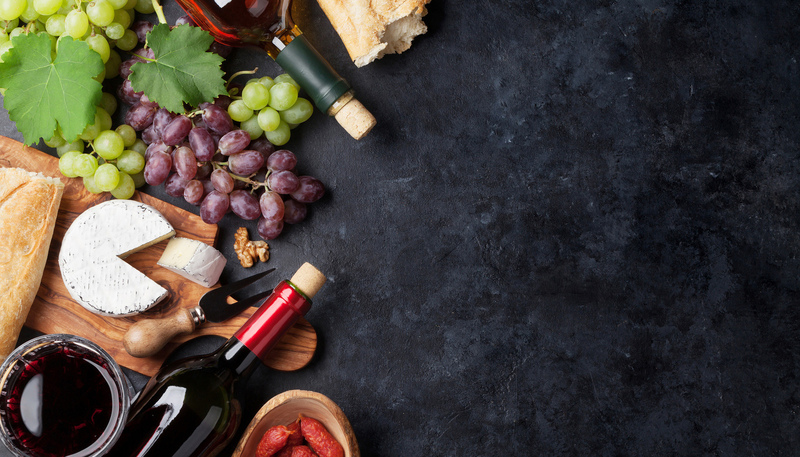 The Hotel Aspen Flagstaff strives to provide our guests with the highest quality of service, exceptional value and complimentary amenities you expect when you travel. Join us for our Managers Barbeque the first Wednesday of every month, rain or shine! Enjoy free food and good company—located at our very own Route 66-themed PJ's Cafe. Our personable staff is available 24 hours a day to assist guests with any request that they may have. These and many other complimentary amenities such as Free High Speed Internet access make the Hotel Aspen Flagstaff Grand Canyon Your Boutique Suite Choice Value! We appreciate you, and it shows. Located in Elden Pueblo, this vacation home and is 10 miles from Flagstaff. A dishwasher and an oven are provided in the kitchen. A TV with satellite channels is available. Other facilities at FlagRanch Cabin include a barbecue, pool table and more. Flagstaff Pulliam Airport is 14 miles away. In the cool hills of Flagstaff at an elevation of 7,000 ft., J and H RV Park is a fun place to stop for a night or a month! Our warm hospitality and humor have helped us attain the prestigious “National RV Park of the Year” award. Our park is Age Restricted and Non Smoking. 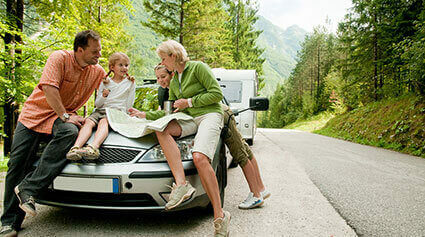 We are clean, safe, friendly and located away from the noises we all wish to avoid: airport, railroad and traffic! Come, relax and enjoy the serenity of an award winning park with its level sites, beautiful landscaping, clean restrooms and showers, laundry facilities, picnic tables and wireless internet at all sites. Enjoy the community outdoor fireplace following the Sunday Pot Lucks. Grand Canyon tours can be booked at J&H. We also offer Pet Sitting. Flagstaff's Western Hills Motel just one mile East of Downtown. Located on Historic Route 66, nestled among cool Ponderosa pines. Relax and enjoy the fresh mountain air, visit with family and friends or have a warm weather BBQ. There is a terrific Mexican restaurant right on the property serving homemade Mexican food for lunch and dinner every day and we are only one and one half miles from Northern Arizona University and the World famous Lowell Observatory. 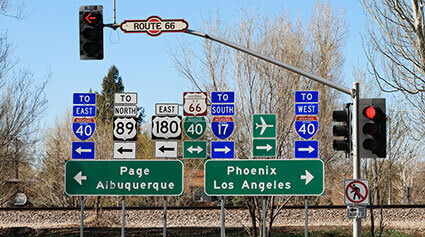 At Western Hills Motel we want to make your Route 66 experience special. You can enjoy free hi-speed wireless throughout the property, Cable TV in the rooms and free coffee every morning in our main lobby. The Greer's Pine Shadows RV Park is located in Flagstaff, Arizona and is a popular base camp for enjoying the treasures of the area. Snowbirds flock there each year to be surrounded by the thick, homely forest and to be just a short drive from attractions like the Grand Canyon, The Petrified Forest, Montezuma's Castle and Well, Snow Bowl and the Petrified Forest. The town of Sedona is relatively nearby, so campers can head there for shopping, site seeing or just to visit the Red Rocks. Walnut Canyon is also a must-see! 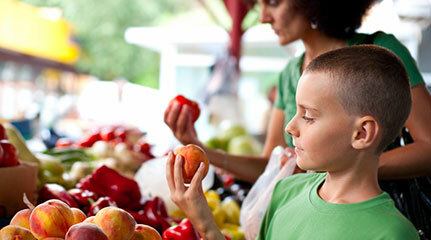 Plus, there's grocery stores within two miles of the park for campers' convenience. Located in Elden Pueblo in the region of Arizona, this detached vacation home and is 9 miles from Flagstaff. Elden Trails Bed and Breakfast offers accommodations in Flagstaff. Every room includes a TV. Some units feature a sitting area to relax in after a busy day. A terrace or patio are featured in certain rooms. The rooms include a private bathroom equipped with a shower. For your comfort, you will find free toiletries and a hairdryer. You can play darts at the bed and breakfast. Flagstaff Pulliam Airport is 9 miles away. This property also has one of the top-rated locations in Flagstaff! Guests are happier about it compared to other properties in the area. Pumphouse Court is a vacation home with a garden, located in Flagstaff. The vacation home is fitted with air-conditioning and free WiFi. Free private parking is available on site. There is a seating area, a dining area and a kitchen as well as a private bathroom with free toiletries and a hair dryer. A flat-screen TV with satellite channels is provided. Other facilities at Pumphouse Court include a hot tub and barbecue. Sedona is 16 miles from Pumphouse Court, and Williams is 30 miles from the property. The nearest airport is Flagstaff Pulliam Airport, 3.7 miles from Pumphouse Court. The Pine View RV Park is an active adult community campground located in Bellemont, Arizona and is known for fun activities an spacious sites. Campers can look forward to a quiet, countryside setting, nearby shopping venues and a packed calendar of events and activities to keep guests engaged and active. Visitors can look forward to day hikes and fishing at the nearby lakes on the Mongollan Rim and Tonto National Forest Park. Amenities at this campground include: big rig access, laundry facility, tent camping, water, sewerage and electrical hookups. The Kit Carson RV Park is located in the beautiful city of Flagstaff, Arizona and is a popular base camp for a number of excellent local attractions. Campers can look forward to viewing the Petrified Forest, Meteor Crater and the Grand Canyon. The city of Sedona and the Red Rocks are also nearby, and Flagstaff is also just as popular, but for its entertainment, museums, art galleries, restaurants and theater performances. The Riordan Mansion State Park is less than 2 miles from the campground, so many visitors head out there for picnicking, bike riding, hiking or stargazing on one of those clear, Arizona nights. Amenities at the park include: 30/50 amp sites, water, sewerage, tent camping, big rig access and pull thrus. Our family-owned and operated inn feels different from other Sedona hotels because it is. When you're here, you’ll experience the comfort and convenience that you’re used to in your own home. With our very own pet-friendly park, sparkling pool, and fitness center, many of our guests enjoy spending part of their Sedona vacation relaxing with us. With a country inn atmosphere, and bed and breakfast feel, each of the 42 traditional rooms and 47 spacious suites offer comfortable accommodations. All our rooms include complimentary WiFi and a hot breakfast bar to get your day started! Your four-legged family members will love our grassy outside play area with a barbeque and fire-pit. The concierge is on-site daily to share the best things to do in Sedona. The Inn at 410 Bed and Breakfast has been consistently ranked a top 10 Arizona B&;B by the AZ Republic, AAA, Frommers, LA Times and a host of international reviewers. Since it's opening in 1991 as a bed and breakfast, this historic inn offers luxurious, romantic rooms and suites with unmatched amenities, and combines an outstanding downtown location, a warm and inviting ambiance, gourmet breakfasts and gracious friendly service to ensure a relaxing and memorable Flagstaff Bed and Breakfast experience. Located perfectly between downtown Flagstaff, Snowbowl and on the Urban Bike Trail, this neighborhood home is a great combination of comfort and convenience. Less than a 5 minute walk to the north locations of Late for the Train Coffee Shop and Fratellis Pizza. This location will sure make you feel like a local!